Yellow Brigade Commander Jinxie G has a special promotion over on her website starting today, and it’s all about raising awareness for breast cancer! As a Zombie Survival Crew Commander, and the crew’s top Amazon, Jinxie is very dedicated to this cause because it has affected more than a few of the women in her family, as well as friends and their families. 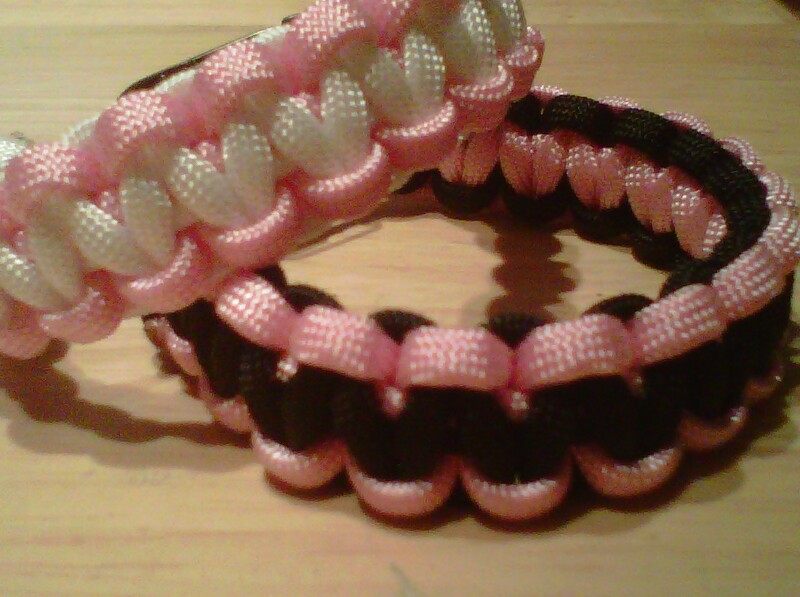 For the entire month of October, she will be making her survival bracelets in pink & black and pink & white, with all proceeds going to Susan G. Komen for the Cure®. Just look at these beauties. You know you want one! If you would like to order one of these special survival bracelets, please head on over to her website Jinxie’s World and place your order. Not only does she have a post up on her blog today, which we urge you to read, but there is also a page dedicated to Breast Cancer Awareness. In addition to the survival bracelets, Jinxie is also donating all proceeds from the October sales of her most recent book NEMESIS to Susan G. Komen for the Cure®. Nemesis, from Running Ink Press, is marked at the special price of $1.99 for all of October. Available in KINDLE, PDF, RTF, HTML, LRF, PALM DOC, AND PLAIN TEXT ON SMASHWORDS, & BARNES & NOBLE and KINDLE format on AMAZON & AMAZON UK & AMAZON DE. So what are you waiting for? FIGHT LIKE A GIRL!